After a short detour to Scandinavia for our last two mixes to date, we returned to France, specifically in the sacred city of Reims. The switch to honor a figure is almost emblematic of the city: DJ, radio host, organizer of events, budding producer, columnist and interviewer for his time, he has almost everything done! Cigarette to the burner, you certainly come across the decks of one of the bars in the city center or at a beer in his hand. 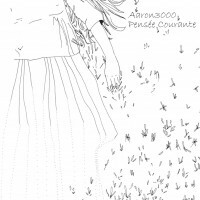 Lulled inter alia by the hip-hop, jazz, folk, experimental music and electronic book with us Aaron3000 “Pensée Courante” a mix effective and faithful to his musical tastes. For once the new mix of Hip-Hop Core will be a shade more electro than usual.